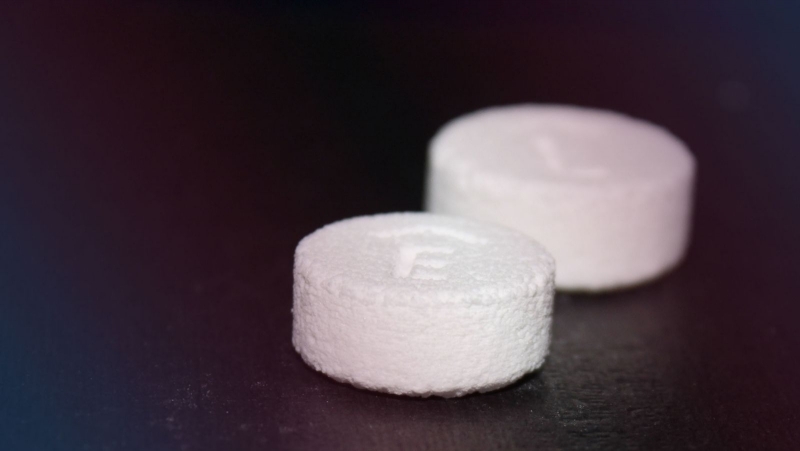 For the first time, the U.S. Food and Drug Administration has approved a 3D printed drug, a development that could lead to drug customization for individual patients. The drug, known as Spritam, is made by privately held Aprecia Pharmaceuticals Co., and was approved for oral use as a prescription adjunctive therapy to treat epilepsy on Monday. Spritam uses Aprecia's "ZipDose" technology, a way to create premeasured doses which disintegrate with a sip of water. The 3D printer then binds together multiple layers of powder until the pill is formed, in 750 mg or 1000 mg dose sizes. This powder-liquid 3D printing technology was originally developed at MIT in the late 1980s, and then later licensed exclusively to Aprecia. This type of technology, plus the fact that the FDA approved something made by a 3D printer for human consumption, could be a huge boon to pharmaceutical companies. Instead of medications that are one-size-fits all, companies could tailor drugs to each patient's needs. In the healthcare industry, 3D printers are already used by dentists to create replicas of teeth and jaws, and orthopedic surgeons have tested them to make customized hip replacements. Also, some scientists in the UK have found use for 3D printers to create personalized replica models of cancerous parts of the body to help doctors target tumors more precisely. This development is of a different type than other medical uses of 3D printers so far. Spritam could mark the beginning of a new phase of medicine, and a starting block that can be built on for more complex applications.